Speaking on a panel discussion today at the Hotelier Middle East Great GM Debate held in Dubai, Ferghal Purcell, General Manager of The Ajman Palace Hotel stressed on the massive Meetings, Incentives, Conferences and Exhibitions (MICE) opportunity in the region. 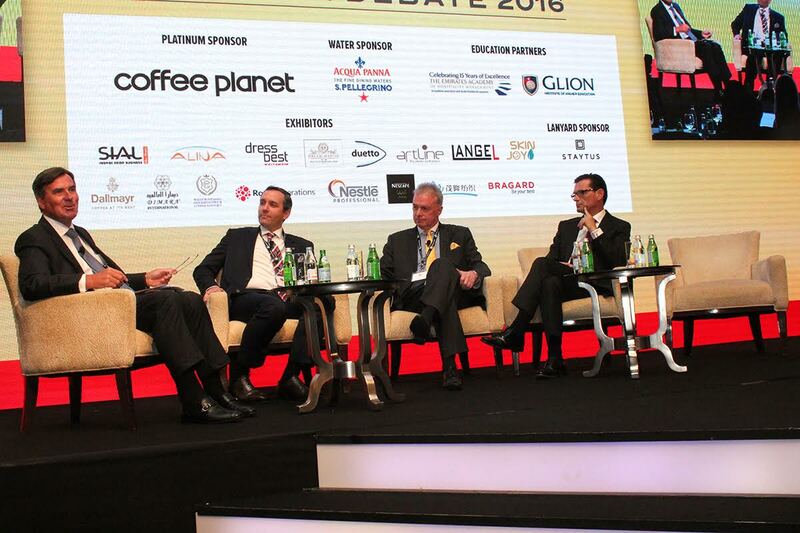 The industry wide annual conference, that brought together the strongest line-up of speakers, gave hoteliers a chance to discuss the most pressing issues and challenges posed by the current geopolitical and economic factors. The Middle East MICE Sector has come a long way in a very short space of time and the GCC’s US$1.3 billion MICE industry is set to experience further robust growth, with the UAE, Qatar, Oman and Saudi Arabia driving its expansion. Panelists discussed the significant rise in MICE facilities in the last few years in the region which have attracted further public events. Notably, the MICE industry is one of the key growth drivers for the region’s burgeoning economy, making significant contributions through income and employment along with attracting substantial foreign investment. The experts also discussed the evolution in the MICE industry, the source markets, types of visitors and the types of events being hosted in the region.